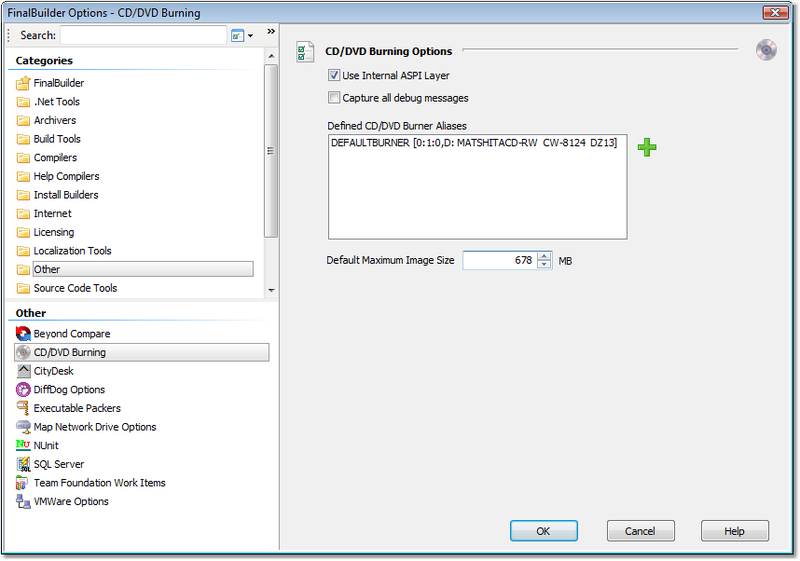 In order to use the CD/DVD Burner actions, you need to define Aliases for the burner(s) available on your machine. Aliases are what you use to determine which burner an action will use. This allows you to define the same alias for different burners on other machines, enabling the project to run even though other machines have different burners. Windows Feature Pack for Storage 1.0 Download - Adds bluray and burn verification support, recommended.